It seems that March was not the month to get back to blogging, but it was a good month for reading! Since I can't seem to find the time and energy to write full reviews, I'm going to provide a quick review of each of the books I read last month. Every one of these was 4-5 stars in my opinion. I'd recommend all of them. I started Hillbilly Elegy by J.D. Vance in February but finished it in March. 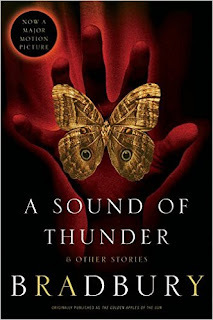 This nonfiction book was my book club's March selection and we discussed it last week. It's a memoir by a man who grew up in Appalachia and the Rust Belt, and eventually made it through Yale Law School. It's a fascinating account of his personal life and life in general in this part of the country. He gets into the struggles that people face pulling themselves out of the poverty that they're born into, and what helped to set him free. I found the book to be informative and an excellent book club choice. 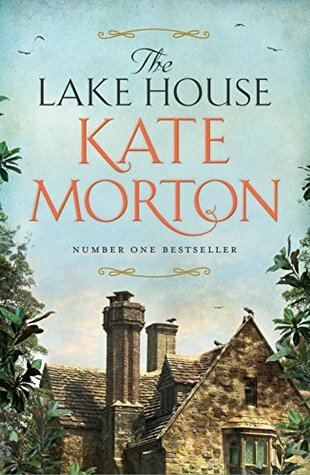 The Lake House by Kate Morton is the only full-length novel that I read in March. This mystery that spans seven decades pulled me in and kept me interested to the end. It's about the disappearance of a little boy and one woman's investigation into what happened to him 70 years later. Morton intertwines two time periods ~ 1933 and 2003 ~ as she uncovers what happened on that fateful night of his disappearance. This was clearly much lighter than everything else I read this month, and I really enjoyed getting lost in Morton's mystery. 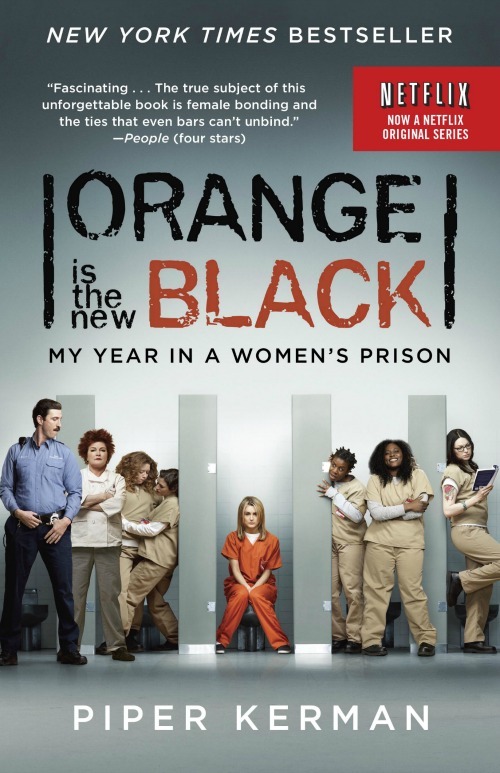 Orange is the New Black by Piper Kerman is a book I got through a "blind date" thing at my library. I honestly guessed at what was under the wrapping but I was intrigued by the story. I haven't seen the Netflix show but I loved the book and evidently the show is only based on her story, it's not really the same story as the book. Anyway, this is all about Piper's year in prison and I have to say I learned a lot about minimum security prisons for women. I was pretty shocked by the level of freedom they have and intrigued by the way the women related to one another throughout their time together. Highly recommended if you like memoirs. This would make a great book club pick too! 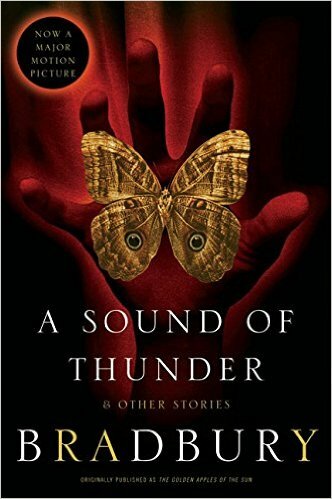 My son had a reading assignment that included a passage by Ray Bradbury and it reminded me of A Sound of Thunder, a short story that I remember listening to during English class in eighth grade. I couldn't resist picking up a book of his stories so I could reread this classic! It's such a cool story about time travel and the impact that one small change can have on the world. 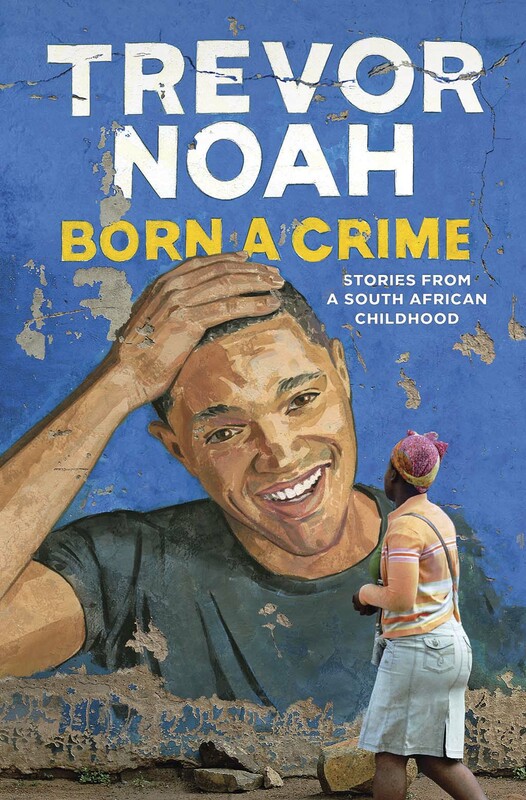 Born a Crime is a memoir by Trevor Noah about his childhood growing up in South Africa. I learned so much about Apartheid and race relations in South Africa. Noah's story is unique since he is "colored" rather than black or white. He shares the challenges he faced trying to fit in with other kids who didn't look like him and the way his life was impacted so much by his race and politics in his country. I enjoyed this memoir and again, would recommend this one for book clubs. There are plenty of topics around race, South African politics, and the choices parents make to discuss. I just realized that I read three memoirs in March. Maybe I should have started some sort of March Memoirs challenge or something! Too late, I suppose. I'm going to link up with It's Monday! What Are You Reading? even though I'm talking about a whole month of books rather than just a week! I'd love to hear what you're reading too! I've got to get back to The Lake House. I started it and then think it disappeared to my daughter's house! I think you did good. :-) Happy April! I LOVED The Lake House...love all of her books. Hillbilly Elegy has been getting good reviews. Thanks for sharing, and have a wonderful week. WOW, what an awesome reading month for you! 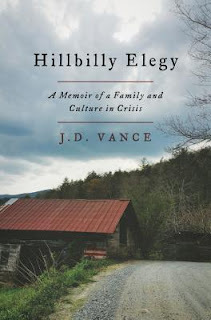 One of my book groups also wants to read Hillbilly Elegy - we are waiting for it to come out in paperback. I've read one Kate Morton novel - The Forgotten Garden, I think? - and I enjoyed it. This one sounds intriguing. 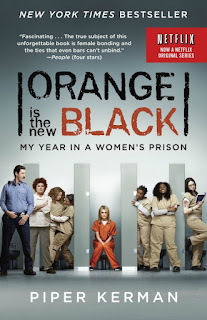 I just recently read Orange is the New Black, too, and loved it - I was so impressed by Piper's writing skills and the thoughtfulness of the book. And my husband and I are HUGE fans of the Netflix TV show! Yes, it does veer somewhat from the memoir (and is quite graphic compared with the book), but it is an outstanding show in every way, with amazing acting and writing. And I LOVED Ray Bradbury when I was in high school - I read every one of his books in our public library! In the ensuing decades, I have only re-read Fahrenheit 451, so I would love to re-visit other novels and short stories. A great reading month for you - hope April is going well, too! I just finished Hillbilly Elegy and I really enjoyed it. It wasn't what I was expecting at all.